Huddle Up for Education: Donate Now Through August 8! Did you know low income students are six times more likely to drop out of high school? We strive to bridge the gap for local students headed to an Oregon college, university or trade school. We’ve partnered again this year with Safeway-Albertsons and KGW for the Huddle Up for Education. Now through August 8 every time you shop at Safeway or Albertsons in the state of Oregon you’ll have a chance to donate directly to our Oregon Community Quarterback Scholarship! Every dollar counts. Every cent adds up. Every bit of it directly benefits our scholarship recipients, like Makayla Agnew, Melissa Legara-Cisneros, Daniel Paulsen, Nicole McNerney, and Cally Hutson. 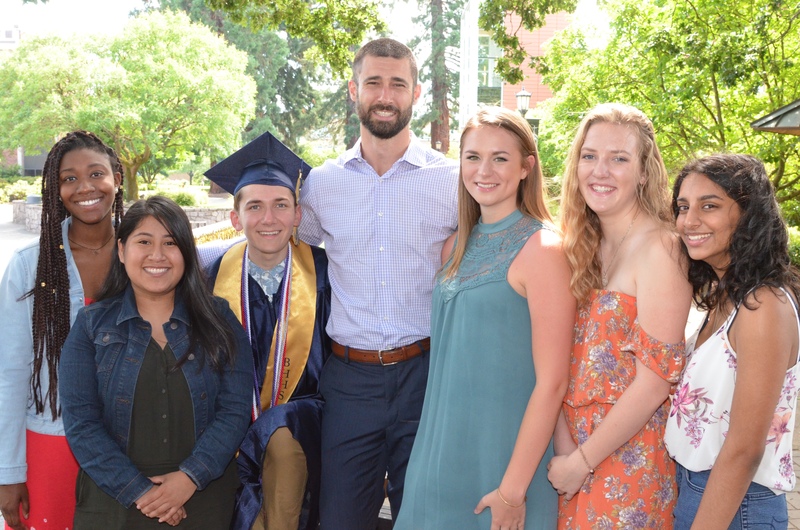 They are just six of our sixteen scholarship recipients who rely on your support and passion for the Oregon’s future. They are our future. Please consider donating a buck here or there each time you visit an Oregon Safeway or Albertsons from July 12 through August 8, or click here to give online!